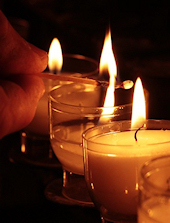 Margaret Gangewere, 97, of Bethlehem, PA died on March 27, 2019 at the Little Sisters of the Poor residence in Newark, DE. Born in 1921, she was the daughter of Windish immigrants Frank and Louise Donchez. She was predeceased by her husband of nearly 50 years Robert Gangewere, also of Bethlehem and all of her siblings Frank, Theresa, Louise and Anne and a very special niece, Sister Josette. Margaret spent nearly 30 years working at Lehigh University and was very active in a multitude of volunteer opportunities at Holy Ghost Catholic Church and St Luke's Hospital. She is survived by her daughter Marguerite Donovan of Hockessin, DE and son Robert Jr and his wife Maureen of Norfolk, VA, five grandchildren and five great grandchildren. A Mass of Christian Burial will be celebrated Monday, April 1st at 11:00 A.M. at Holy Ghost Catholic Church, 417 Carlton Ave, Bethlehem. A calling time will be held previously 10:30-11AM in the church. Burial will be in Holy Saviour Cemetery. In lieu of flowers request all memorials be made in memory of Margaret to the Little Sisters of the Poor, 185 Salem Church Road, Newark, DE 19713-2997. Arrangements entrusted to Downing Funeral Home, Inc.
Carmelo Guzman, 84, of Bethlehem, passed away February 16, 2019. He was the loving husband to Doris Edna (Torres) Guzman, with whom he spent 60 wonderful years of marriage. Born in Isabela, Puerto Rico, he was the son of the late Damaso and Isabel (Ramos) Guzman. Carmelo was a member of Holy Infancy Catholic Church. His happiest moments in life were spent with his family, and he will be deeply missed. Survivors: wife- Doris Edna Guzman; children- Noemi Martinez and husband Domingo, Doris Edna Guzman, Carmelo Guzman Jr. and wife Marilyn, George Guzman and wife Angela; 11 Grandchildren; 11 Great Grandchildren; siblings- Damaso Guzman Jr., Gillermina Torres, Pedro Guzman. He was predeceased by 3 siblings. A viewing will be held on Thursday, February 21st 8:45-9:45 AM in Holy Infancy Catholic Church located at 312 E. 4th St. Bethlehem, PA 18015. Mass of Christian burial will be celebrated at 10 AM in the church and burial to follow. Arrangements entrusted to Downing Funeral Home, Inc.
Laura A. (Bush) Guzie, 92, of Bethlehem, passed away April 12, 2018. She was the loving wife of the late Andrew Guzie. Born in Lower Macungie Twp, she was the daughter of the late Robert and Clara (Gower) Bush. She was a former member of St. Paul’s United Church of Christ in Allentown. Laura enjoyed spending her time crocheting. Survivors: son- Gary and wife Candace Guzie of Las Cruces, NM; daughter- Judith and husband Rich Dorsam of Bethlehem; grandchildren- Bendict, Jillian, Jaclyn, Lauren, Carin and Brian; 6 great grandchildren; sister- Grace Zimmerman of Breinigsville. Services will be private for the family. Arrangements entrusted to Downing Funeral Home, Inc. In lieu of flowers, donations can be made in Laura’s memory to Peaceable Kingdom PO Box 424 Whitehall, PA 18052. Celia A. (Nogic) Gizinski, 93, of Bethlehem, passed away February 2, 2018. She was the loving wife of 71 years to the late Leonard J. Gizinski, who passed away January 16, 2018. Born in Nanticoke,PA, she was the daughter of the late Lawrence and Anna (Rzepka) Naguszewski. 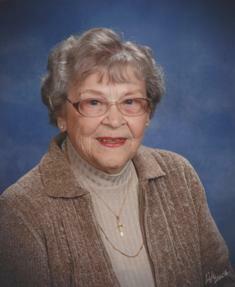 Celia was a member of Notre Dame of Bethlehem Catholic Church. She was an avid crocheter and enjoyed making many things for her family members. Survivors: daughters- Leeann Edinger of Bethlehem, Susan Litz and husband Peter of Bethlehem, Pamela McCourt and husband Kenneth of Brookhaven; sons- Leonard Jr. and wife Samantha of Olympia, WA, Joseph and companion Renee Adams of Northampton; daughter-in-law- Joyce Gizinski of Martinsburg, WV; 21 grandchildren; 18 great grandchildren; 3 great great grandchildren and many nieces and nephews. She was predeceased by her son- Brian, her son-in-law- Frank Edinger, brothers- John, Anthony and Frank Nogic and her sister- Lillian Prozeralik. A viewing will be held Wednesday, February 7th 9:45-10:30AM at Notre Dame of Bethlehem Catholic Church 1861 Catasauqua Ave Bethlehem, PA 18018 with Mass of Christian Burial immediately following. Burial will be private at a later date. Arrangements entrusted to Downing Funeral Home, Inc. Contributions can be made in Celia’s name to St. Jude’s Children’s Hospital 262 Danny Thomas Place, Memphis, TN 38105. Leonard J. Gizinski, 96, of Bethlehem, passed away January 16, 2018. He was the loving husband, of 71 years, to Celia A. (Nogic) Gizinski. Born in Nanticoke, he was the son of the late Joseph and Stella (Pohepic) Gizinski. Leonard served in the U.S. Army Air Force during WWII. He retired from IBM in 1986, as a Customer Engineer, after 36 years of service. He was a member of Notre Dame of Bethlehem Catholic Church, the Knights of Columbus Holy Cross Council #4754, the Lehigh Valley General Assembly and the National American Legion. Survivors: wife- Celia; daughters- Leeann Edinger of Bethlehem, Susan Litz and husband Peter of Bethlehem, Pamela McCourt and husband Kenneth of Brookhaven; sons- Leonard Jr. and wife Samantha of Olympia, WA, Joseph and companion Renee Adams of Northampton; daughter-in-law- Joyce Gizinski of Martinsburg, WV; 21 grandchildren; 18 great grandchildren; 3 great great grandchildren; sisters- Helen Wilkes of Nanticoke, Louise Gowen of Webster Groves, MO and many nieces and nephews. He was predeceased by his son- Brian; son-in-law- Frank Edinger; brother- Edward; sister- Isobel Maday. Services: A viewing will be held Saturday, January 20th 10-11AM at Notre Dame of Bethlehem Catholic Church 1861 Catasauqua Rd Bethlehem, PA 18018 with Mass of Christian Burial immediately following. Burial will be private at a later date. Arrangements entrusted to Downing Funeral Home, Inc. Contributions can be made in Leonard’s name to St. Jude’s Children’s Hospital 262 Danny Thomas Place, Memphis, TN 38105. Stephen J. Gaspar, 89, of Bethlehem, passed away October 20, 2017. He was the loving husband of the late Anna H. (Cesanek) Gaspar. Born in Bethlehem, he was the son of the late John and Elizabeth (Petko) Gaspar. Stephen served in the U.S. Marine Corp. He retired from Bethlehem Steel after 36 years of service. He was a member of Saints Simon and Jude Catholic Church. Survivors: sons- Albin J. Macsay of Myrtle Beach, SC, David M. Gaspar and wife Debbi of Bethlehem Twp; 4 grandchildren- Danielle Marie Gaspar, David Gaspar Jr., Tanya Hood, Andrew Thear; son-in-law- Thomas Miller of Bethlehem; sister- Margaret Stefanik of Bethlehem. He was predeceased by his daughter- Joan Miller, granddaughter- Donna Macsay, daughter-in-law- Mary Macsay, 4 brothers and 4 sisters. Services: A viewing will be held Friday, Oct 27th 6-8PM in Downing Funeral Home, Inc. 1002 W. Broad St. Bethlehem, PA 18018. A viewing will be held Saturday 9-10AM with a Mass of Christian Burial to be celebrated at 10:30AM in Saints Simon and Jude Catholic Church 730 W. Broad St. Bethlehem, PA 18018. Burial to follow in Holy Saviour Cemetery. Contributions: In lieu of flowers, donations can be made in Stephen's memory to Saints Simon and Jude Catholic Church. Paul N. Gangewere, 68, of South Bethlehem, passed away September 14, 2017. He was the loving husband of Sherry L. (Rikard) Gangewere. Born in Bethlehem, he was the son of the late Paul C. and Rita (Gerber) Gangewere. Paul served in the U.S. Air Force during the Vietnam War, based in Thailand. He retired as a roller from Bethlehem Steel after 32 years of service. Survivors: Wife- Sherry L. Gangewere; Daughters- Kimberly Kapustic and husband Michael of Northampton, Kyle Gangewere and husband Keenan of Center Valley; Grandchildren- Mikey, Noah, Maddie, Keenan, Betty and Paulie; Sister- Carolanne Novak and husband Robert of Allentown; Beloved Dog- Cassie. He was predeceased by his brother- James Gangewere. In lieu of flowers, contributions can be made in Paul’s memory to St. Jude’s Children’s Research Hospital care of Downing Funeral Home, Inc.
Dr. Thomas Leo Gaydos MD, 81, of Springfield Township PA, died on Friday December 16th, 2016 while at home. Dr. Gaydos was a Tamaqua native and a Navy veteran as was his father Leo T Gaydos. He graduated from both Pennsylvania State University, and Temple University School of Medicine. He completed his residency in Obstetrics and Gynecology at the University of Michigan. He went on to join the St. Luke’s Hospital staff in 1969, and was President of the St. Luke’s Medical Staff in 1986. He enjoyed working with Residents, and was a Clinical Associate Professor in the Department of Obstetrics Gynecology and Reproductive Sciences at Temple University School of Medicine. He was a loving husband, proud father, avid fly fisherman, Penn State football fan, and enjoyed spending ALL his free time on his farm. He will be missed by all who he helped and knew. 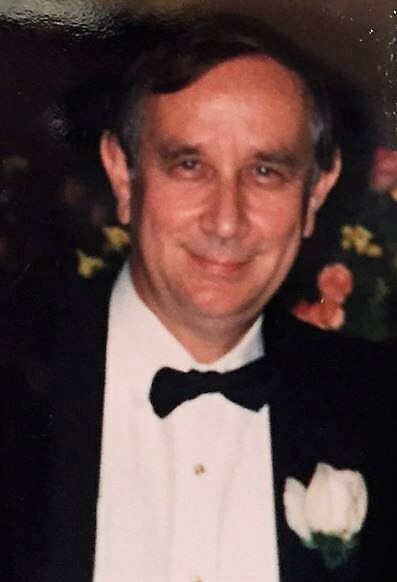 Thomas L. was predeceased by his Wife Bernardine Anne McGovern Gaydos, his parents Leo and Louise Kershner Gaydos, in-laws Robert M. McGovern Sr., & Sarah Elizabeth Lesher McGovern. He is survived by his son Thomas A. Gaydos and his daughter-in-law Dawn Riedel Gaydos, his daughter Susan Elizabeth Barnes and his son-in-law Dan Barnes, his brother in-law, Robert M. McGovern, Jr. and his wife Brenda, as well as four grandchildren Thomas Riley, Samantha, Nathaniel, and Matthew. Services: A calling time will be held on Thursday December 22nd 9:30-10AM with a Service to follow at 10AM all in Downing Funeral Home, Inc. 1002 W. Broad St. Bethlehem, PA 18018. Burial to follow in Holy Saviour Cemetery. Post service wake will be at the Saucon Valley Country Club - Guest House. In lieu of flowers, donations can be made in Dr. Thomas Gaydos’s memory to United Way of the Greater Lehigh Valley designated for Elder Care, 1110 American Parkway Northeast Suite F-120 Allentown, PA 18109.